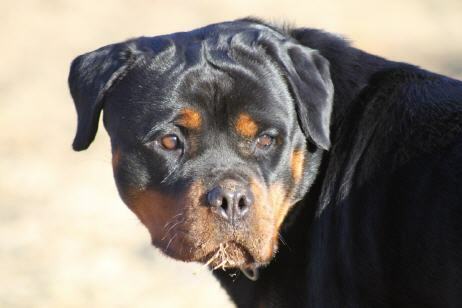 Quendy von der Blockhutte was not owned by Our Rottweiler kennel. 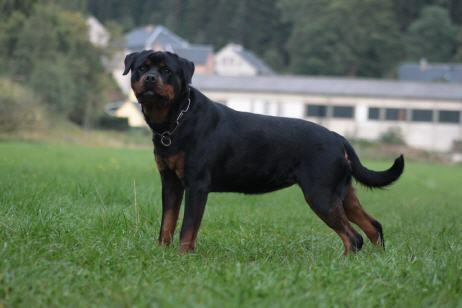 Quendy was a ADRK female Rottweiler that was exported to the Buoso Da Dovara kennel in Italy. 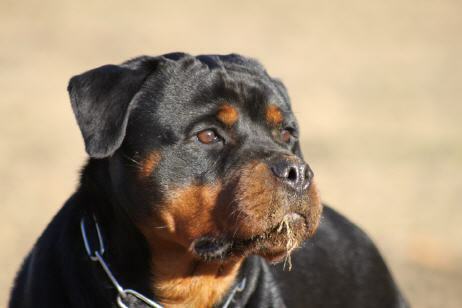 Quendy is the dam to our Rottweiler male Balou von den Grundwiesen. She has recieved her ZtP and BH while in Germany. 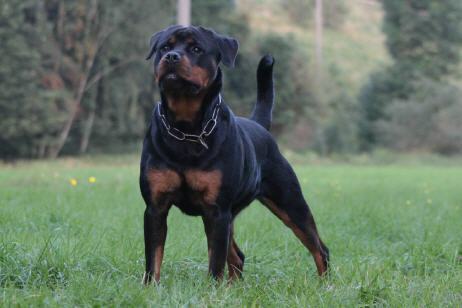 Quendy produces large heads, large bone, excellent markings, and amazing temperaments. I think you would be happy with a puppy from this bloodline.